There are various different medicinal uses of garlic. This article summarizes the main ones. Some which may seem absolutely incredible but also some you might already know about. Garlic is actually a very useful herb which contains some useful volatile oils such as allin and allinase. Allinase is the enzyme which converts the allin into allicin when the garlic is crushed. There are also sulfurous compounds found in garlic such as selenium. Vitamins A, B and C are also found along with vitamin E. The volatile oils inside the garlic are responsible for not only the pungent odor, but also the medicinal properties. If the garlic is grown organically then it will usually have a much greater level of sulfur. This therefore means that the organic garlic will have a more powerful medicinal effect. Garlic contains anti-inflammatory and antioxidant effects which fight a decent variety of ailments. It is proven that garlic can help combat some cardiovascular diseases. The herb can decrease and even completely prevent atherosclerosis by actually inhibiting the mere stickiness of blood clot formation and platelets. Garlic is also known to lower cholesterol at a good rate. The cholesterol is lowered and the blood is thinned out travelling through previously narrowed vessels. This also lowers the chances of heart attacks and strokes taking place in the body. People who eat garlic daily are known to be a lot less likely to suffer from heart illnesses. However if you are taking aspirin or anti-coagulants every day then you should not add to much garlic to your diet becuase it can in turn increase clotting times. It is possible for garlic to decrease the triglyceride levels in our bodies while also increasing good cholesterol levels labelled as HDL. Nonetheless we must always remember that the essential tools for combating heart disease are good exercise and dieting. Garlic will help, however can not be completely relied on. There are different studies which conflict on the debate over the effect garlic has on our blood sugar levels. People diagnosed with type 2 diabetes are well known as 'diet-controlled' and they could be taking extra oral medications lowering glucose. By adding garlic to the diet, people who are diagnosed with type 2 diabetes can gain more of a control of their glucose levels and also gain other benefits from the anti-inflammatory and antioxidants effects. Many people have claimed that garlic is antibacterial. This has now been proven byscientists and was actually studied by the famous Louis Pasteur in the year of 1858. He participated in an experiment where he placed some cloves of garlic into a dish of bacteria. He then took note that all the bacteria was then killed around the areas near the garlic. Garlic is also a broad-spectrum alternative to antibiotics for various infections caused by bacteria. Prior to the availability of antibiotics, the wounded in both world wars were treated by the application of garlic. Garlic is certainly very effective for treating cuts, laceration and infected wounds. Garlic has an excellent effect on fighting fungal infections and is also possibly more powerful fighting these diseases than it is fighting bacteria. There are extracts of garlic which have a very strong effect on fungi found in soil. Garlic can easily eliminate or at least reduce drastically yeast infections in humans. This includes infections such as Monilia. This makes garlic exceptionally useful to healers due to the fact that there is a fewer amount of anti-fungal substitutes than antibacterial. A huge plus to garlic is that there is no significant side effects. Garlic is different from most herbs as research and studies have clearly proven that garlic has a vital direct effect against viruses. There is no antibiotic known to completely eliminate a viral infection. Miserable symptoms are caused by infections such as colds and there are some flu cases ending in fatality. 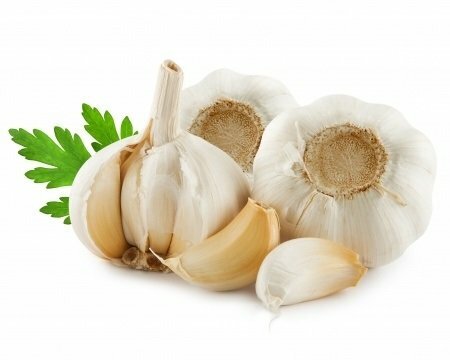 It is thought that garlic works in a way known as a two-pronged attack offending viruses, directly and by stimulating your immune system to gain toughness and fight infections harder. By ingesting garlic you could lower the length of a viral illness. Many believe that by taking garlic before the exposure to a harmful virus, you can decrease the chance of even getting the infection at all.